Chips, cracks, and discoloration can draw unwanted attention to your smile. The experts at Plaza Dental Group can help with transformative dental bonding procedures. At the office in Ventura, California, men, women, and children can get same-day CEREC® dental crowns that improve the health, appearance, and function of injured or decayed teeth. Want to find out more? Set up a consultation today by calling Plaza Dental Group or using the online scheduling tool. Though appliances like veneers simply cover cosmetic flaws, the process of dental bonding involves repairing oral structures. In dental bonding procedures, your Plaza Dental Group dentist makes a custom-made crown just for you. Crowns are specially designed protective caps that make your affected tooth look, feel, and function drastically better. The procedure is called dental bonding because crowns are snugly bonded onto your teeth. 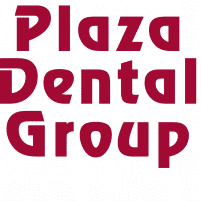 If you have a tooth that has suffered injury, decay, or discoloration, consult your Plaza Dental Group dentist to see if dental bonding is the answer. If it is, the first step is having your dentist take detailed impressions of your tooth. These impressions are used to custom-produce your dental crown. At Plaza Dental Group, the team uses CEREC® technology to digitally create your crown. The CEREC device’s grinding and milling unit molds your crown on the spot. Your dentist then uses a special adhesive to bond your crown onto your tooth. In some cases, your tooth may need to be filed down to make sufficient room for your new crown and to ensure a good fit. The longevity of your new dental crown depends largely on you and how well you care for it. As long as you continue brushing, flossing, and maintaining your regular visits to Plaza Dental Group for checkups and cleanings, there’s no reason your crown shouldn’t last at least 10-15 years. Other ways you can guarantee a long lifespan for your crown include avoiding hard foods that could chip your crown, such as hard candies or chewing ice, and trying to limit your sugar intake to avoid decay. If you’d like to schedule a consultation at Plaza Dental Group to learn more about dental bonding and custom-made crowns, call the office, or use the online booking tool today.